In 2015, a Jacksonville teenager died while in state custody at the Brevard Regional Juvenile Detention Center. The 14-year-old was sent there after being charged with burglary. An investigation found that the boy died from bacterial meningitis after eight days in the facility. He had complained of headaches and stomach pain but received no medical care other than being given Tylenol. The family filed a wrongful death claim against the state. During discovery (a pre-trial process where both sides exchange evidence), the family requested that the Department of Juvenile Justice turn over surveillance video showing the hours leading up to the teen’s death. The state failed to reply with the request, twice defying a deadline set by a federal magistrate judge. The judge then recommended that a default judgment be issued against the state, finding that the state displayed a “willful,” “flagrant” and “blatant” disregard for its legal obligations. The magistrate’s recommendation must be adopted by the federal district judge before it can take effect. If the recommendation is adopted, the state will lose its ability to defend itself in the wrongful death case and the only thing left to be decided is how much the state must pay the teen’s family. A default judgment is a binding judgment issued against a party who fails to take some kind of required action. In this case, the Department of Juvenile Justice failed to comply with a discovery order. Another situation in which a court might issue a default judgment is when the defendant fails to appear in court. What Is a Federal Magistrate Judge? Federal district court judges appoint magistrate judges to assist them with their duties. Magistrates often preside over discovery and other pre-trial proceedings. While magistrates are not authorized to completely dispose of a case, they can make recommendations to the district judge about such matters. For example, because a default judgment effectively disposes of a case, magistrates cannot make that decision on their own. Keep in mind that the wrongful death claim involving the Jacksonville teen is a federal case, not a state case. Florida has its own rules pertaining to default judgments. 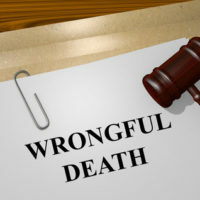 Under the Florida Rules of Civil Procedure, a wrongful death or personal injury plaintiff (or anyone seek relief) may request that the clerk of the court enter a default judgment if the defendant fails to file or serve a document. The court may also enter a default judgment against a party who fails to plead or defend as provided by law. An experienced attorney can help you understand what is involved with a default judgment and whether it is an option in your case. Contact a Jacksonville personal injury attorney at The Pendas Law Firm today for a free consultation if your loved one is injured or killed because of state-related negligence. Our experienced attorneys will help recover the compensation that you deserve. The Pendas Law Firm also represents clients in the Fort Myers, Fort Lauderdale, Orlando, Miami, West Palm Beach, Tampa, Daytona Beach and Bradenton areas.